The Mazda MX-5 Miata RF is one of the most popular hardtop convertibles on the market. The Mazda MX-5 Miata name has always been synonymous with a great handling and fun convertible to cruise around canyons or backroads in. The new RD trim adds an automatic folding hardtop convertible to the Miata formula, adding bold design language to Mazda's formula. 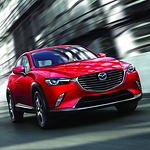 The Mazda CX-3 is a popular, stylish, and feature-rich crossover SUV. While this vehicle provides plenty of power under the hood, it also goes far toward helping to maintain driver and passenger safety. To this end, the Mazda CX-3 fields a wide variety of safety technologies, not least of which is the Mazda Radar Cruise Control system. 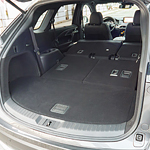 Be prepared to be impressed by the popular 3-row SUV known as the Mazda CX-9. When you want a lot of standard technology in your SUV in Urbandale, this is a hands-down favorite. An 8-inch color touchscreen display will show you all that you need to know. You will have a Mazda navigation system connected to it. 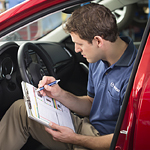 Plus, you’ll have MAZDA CONNECT to keep you informed about what’s going on with your vehicle. Internet radio can be integrated as can your smartphone. 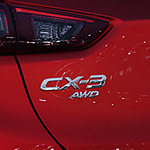 The 2019 Mazda CX-5 is a full-featured and popular crossover SUV. 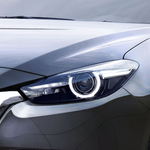 This vehicle offers drivers the signature Mazda looks and power, but also offers many useful technological features. 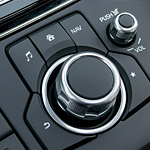 Among these features are specialized driver information displays as well as Medtronic stability controls. The 2019 Mazda CX-5 SUV is outfitted with the Multi-Information Display (MID) system that projects information on a centrally located viewscreen. 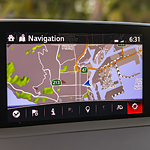 It comes equipped with a proprietary trip computer that can help drivers successfully plan and execute long journeys. When you are ready to take your driving experience to the next level, you'll want to head to Ramsey Mazda and get behind the wheel of the new Mazda CX-3. This popular subcompact crossover comes with a couple tech features you'll appreciate. The Mazda MX-5 Miata RF Is Ready For Takeoff! The Mazda MX-5 Miata RF is an extremely popular hardtop convertible that is now ready for the market. This car is special because it has all of the gadgets that come in larger cars, which include a rearview camera, automatic phone hookup, and more. Drivers in Urbandale who want a sleek and modern vehicle that shows off their personal style should take a look at the Mazda3 hatchback. 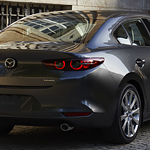 This popular hatchback is available in a range of exterior colors at Ramsey Mazda.